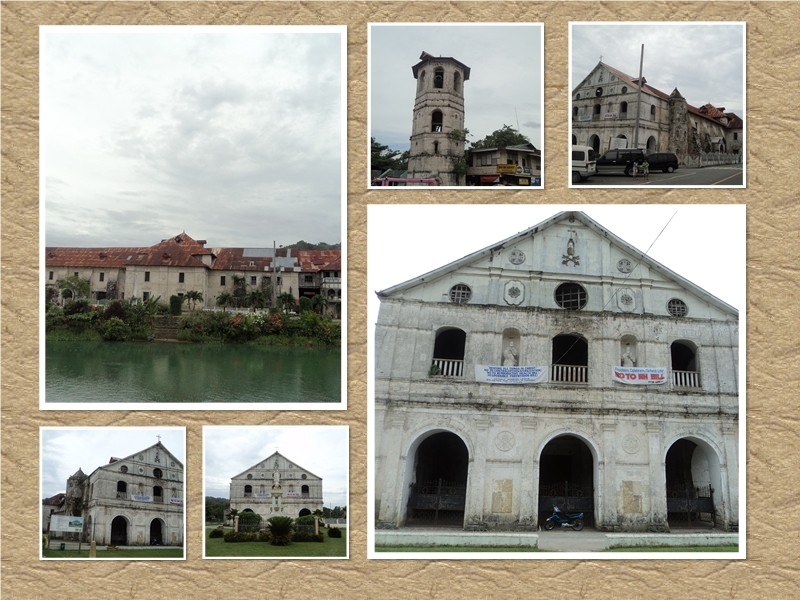 Now, the last time I was in Bohol, we weren’t able to visit the Loboc Church since we parked already at the other side of the river but this time around, I had to make sure I at least get to touch it – you all know I’m a sucker for old architecture. 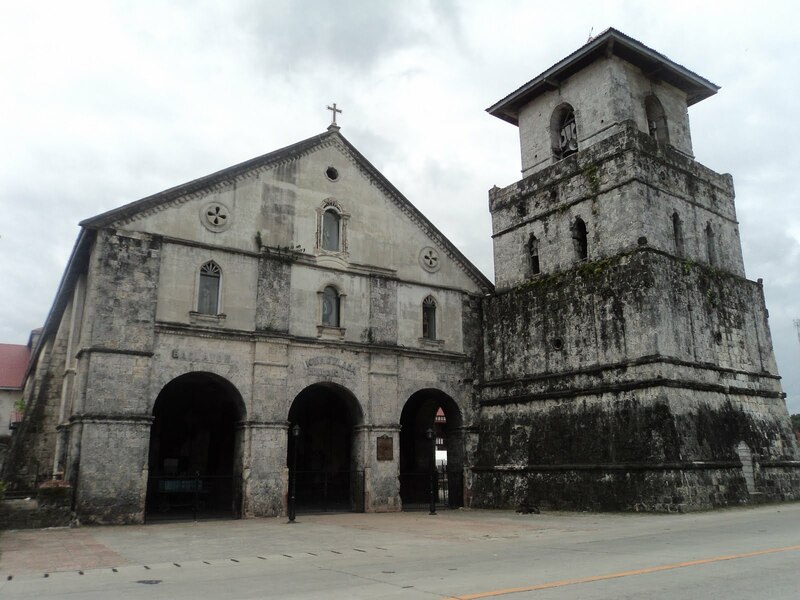 J The Church of San Pedro, or more commonly referred to as Loboc Church, is the 2nd oldest in Bohol, renovated in the 1700s, although the original structure was put up in 1602. 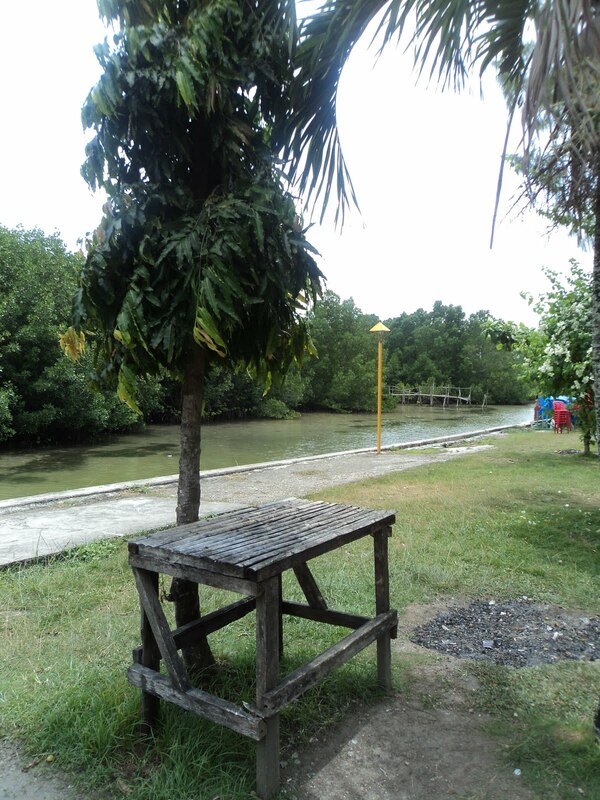 It sits right across the street from the main dock of the scenic Loboc River, where the river cruise starts. It is predominantly Baroque in design although the portico, which was added during the renovation in 1720, covered up the façade. 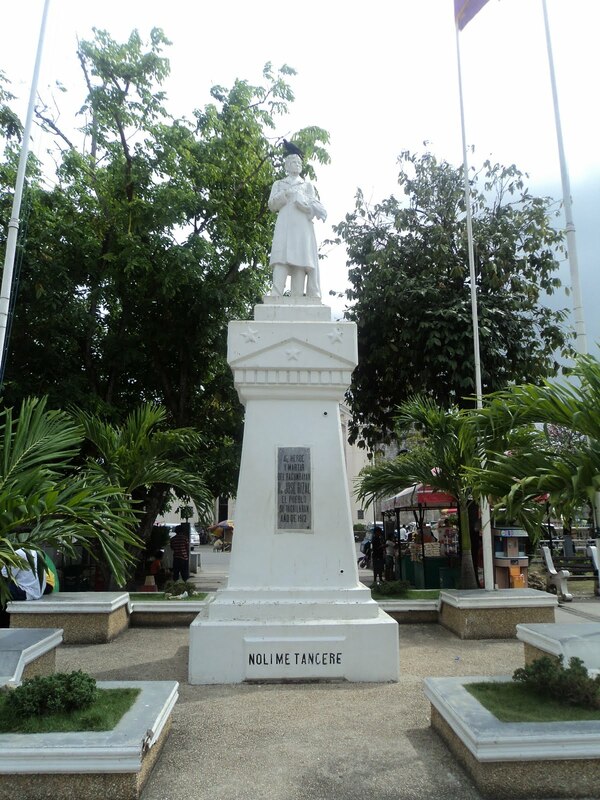 A bell tower was also added, located some 100-meters from the church and now sits across the street from the church. 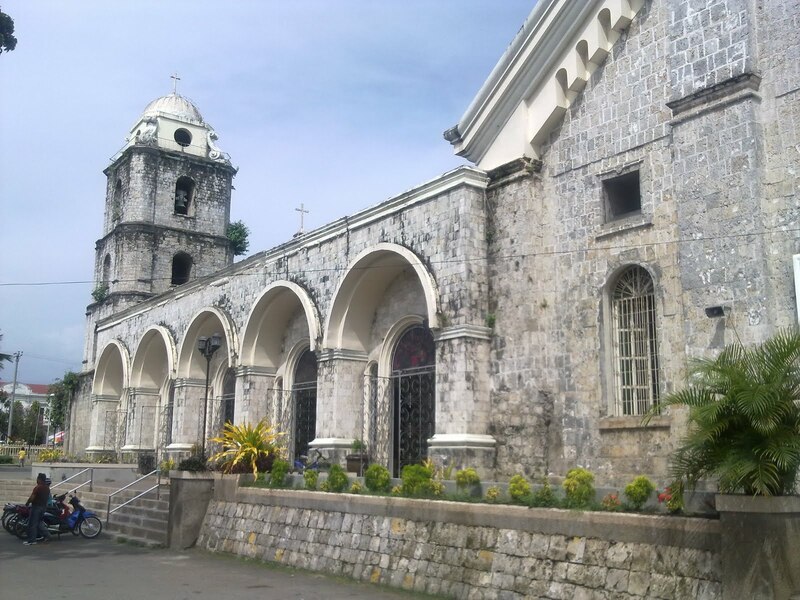 At the back is a three-story structure which houses a convent on its first two floors, and a museum on its top-most floor, where old vestments and religious statues are kept. An unfinished concrete bridge can be found across the street from the right wing of the church, on the same side as the bell tower – according to a bit of research on the internet, this bridge has remained unfinished because in order to complete it, the church will have to be demolished. I can’t help but seethe with anger over this – there are many other spots along the riverbank from where they construct a bridge and they had to pick this one? In any case, we were kind of unfortunate that the church was closed when we visited – we can only admire it from the outside. 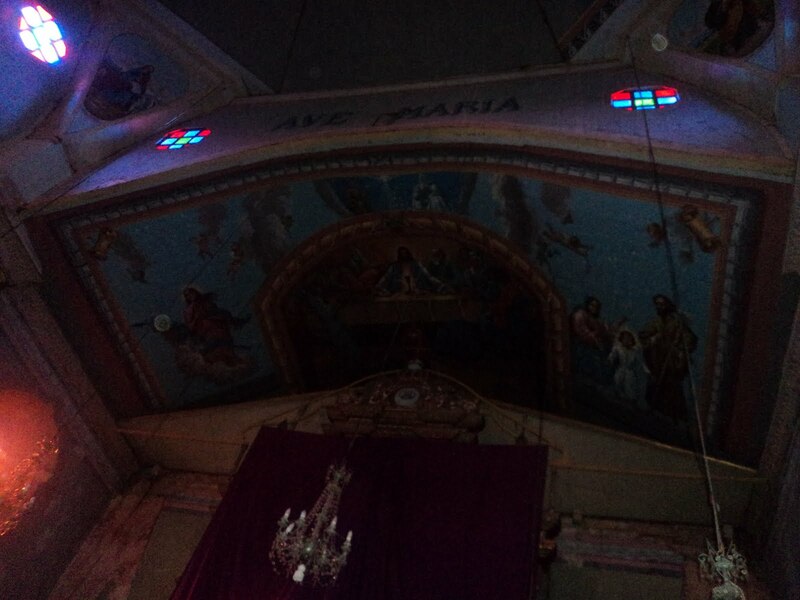 I would have loved to see the interiors as I’ve seen lots of pictures on the net showing its Neo-classical features and Baroque side chapels. 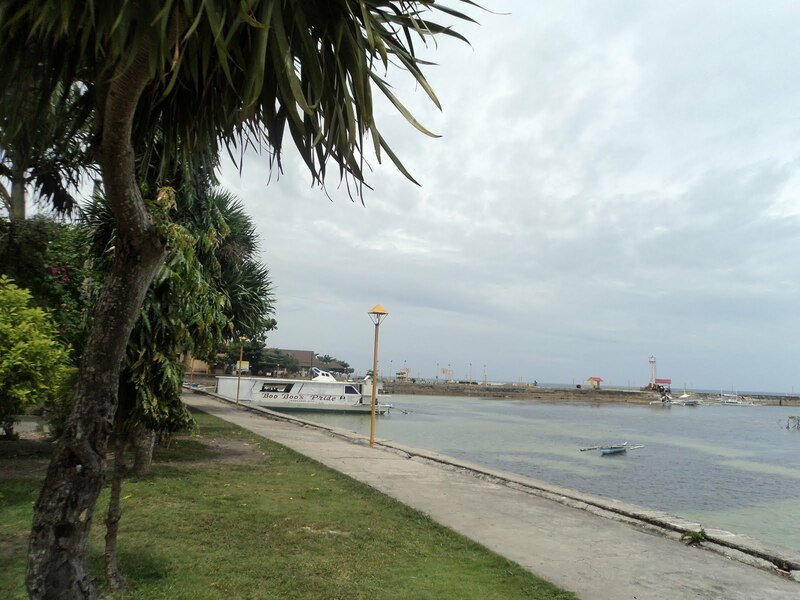 Maybe a third time in Bohol will do the trick? 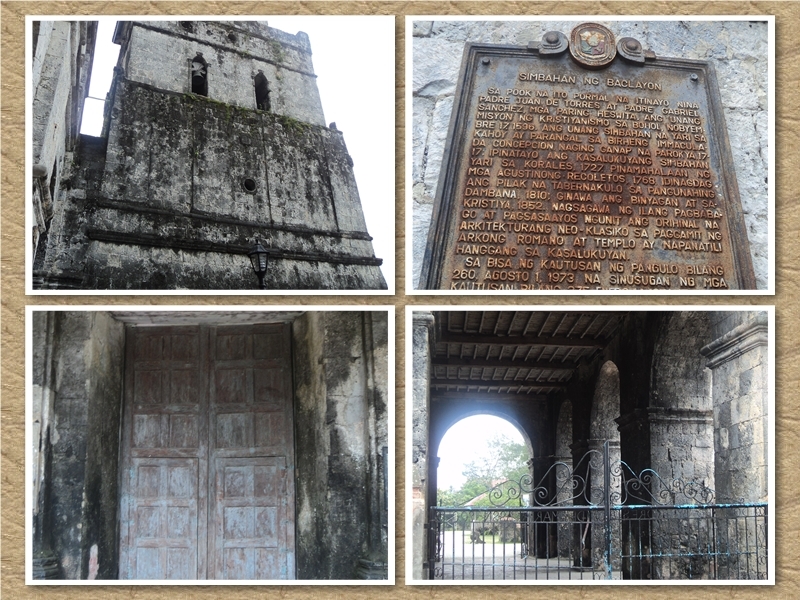 Now, If we paid a visit to the 2nd oldest church in Bohol, of course we also paid a visit to the oldest- the Church of Our Lady of the Immaculate Conception, or simply, Baclayon Church, which was first built in 1595, though the current building was completed in 1727. 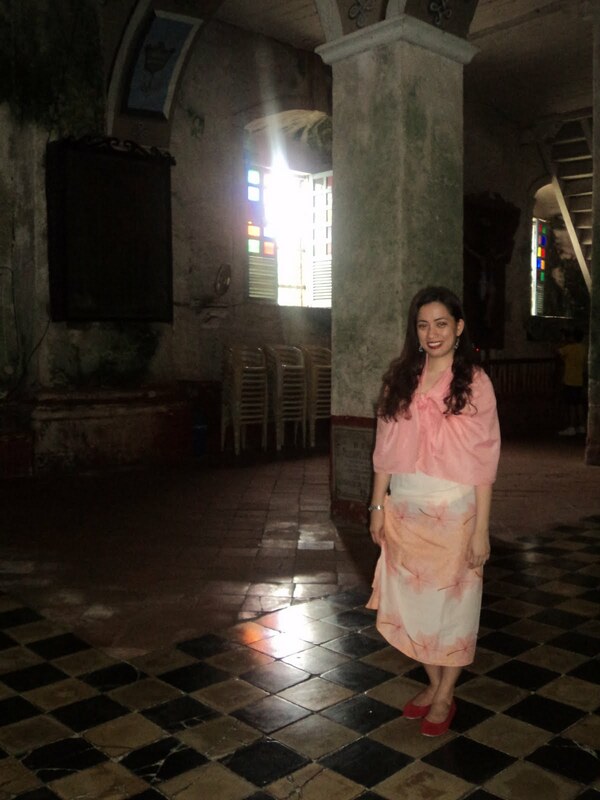 The church is made of coral stones taken by native labourers from the nearby sea using bamboo shafts and cut into blocks and piled one on top of the other. 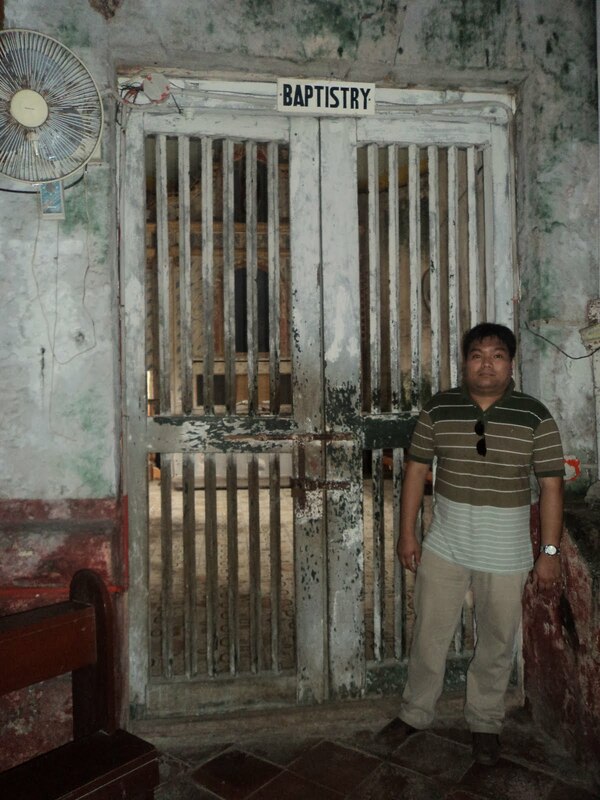 It is said that millions of eggs were used as cement in building the present structure. Eggs! I wonder how long it took them to finish it. According to some, construction of the building started in 1717 and finished in 1727, so that means ten whole years! 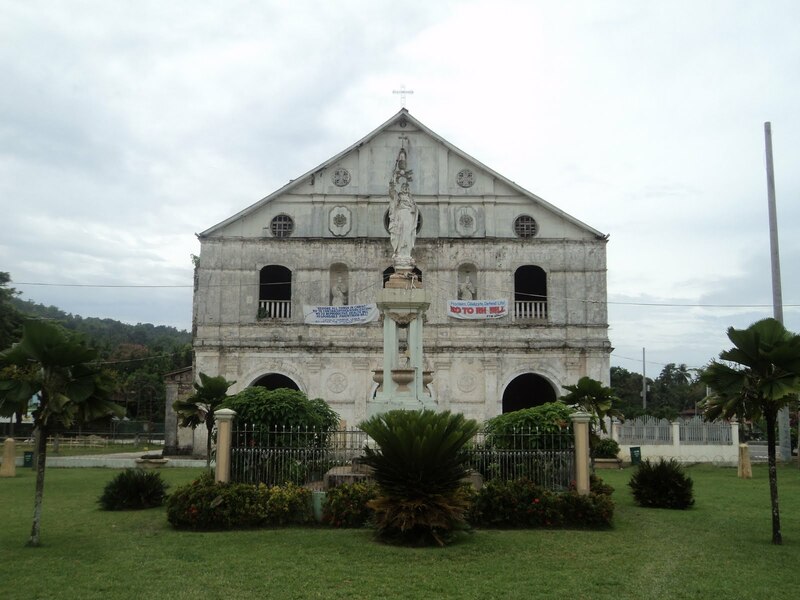 Similar to the Loboc, the Baclayon also has a portico, a style which was predominant in churches in the region. But perhaps what I find unique in this church is the glass compartments in its front walls, housing religious statues. See those status inside the glass compartments? 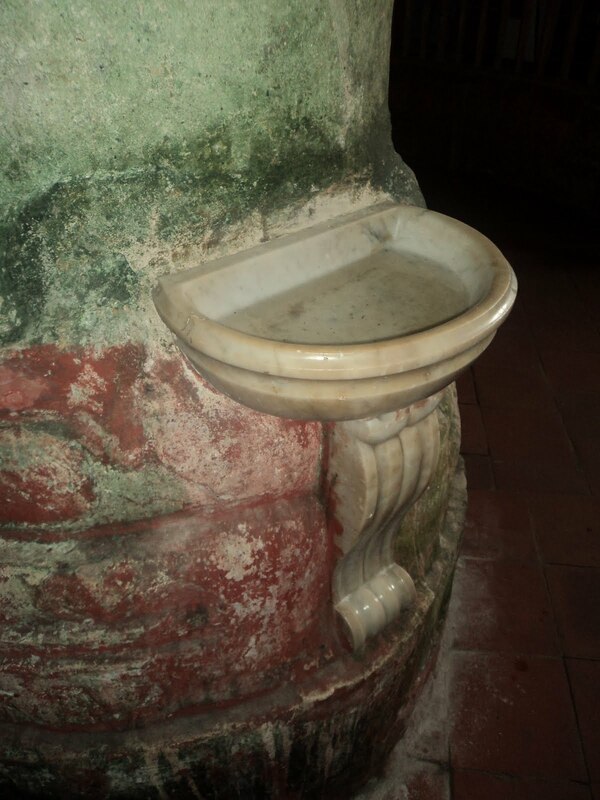 While some may find the interiors a bit too gloomy, I find that it adds to the old charm of the church. 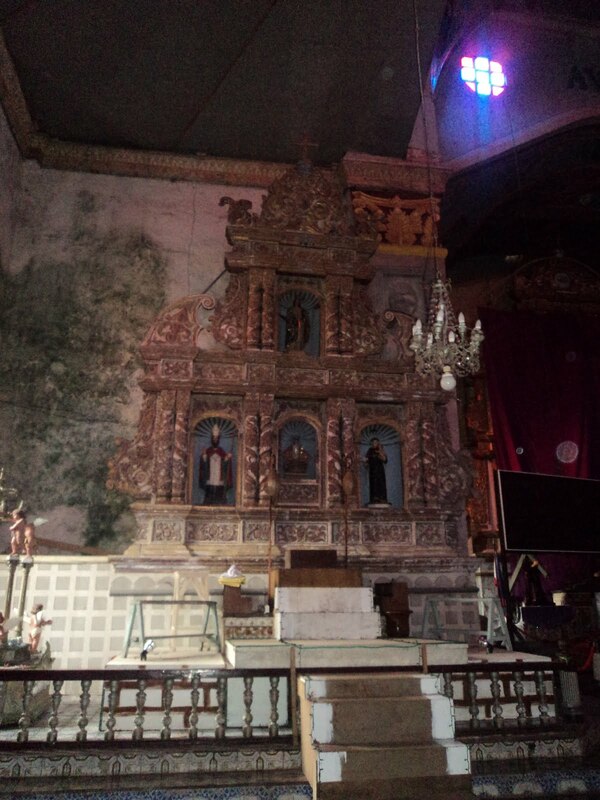 There are several retablos along its walls and the painted ceiling of the altar area from hundreds of years ago has survived to this day, and features the Jesuits’ motto: Ad Majorem Dei Gloriam. A funny thing keeps happening to me in this church (one of the few churches that implement dress code strictly). In my past visit, I was wearing a short, sleeveless dress and this time around, I was wearing shorts and sleeveless top. I know it’s not church-outfit but figuring I’m a tourist, I ought to be exempt, but as usual, I was wrong. I would have loved a picnic there but the heat was unforgiving! I was seriously having black spots in my vision and would have collapsed. Thank goodness our car was parked right in the church’s courtyard. 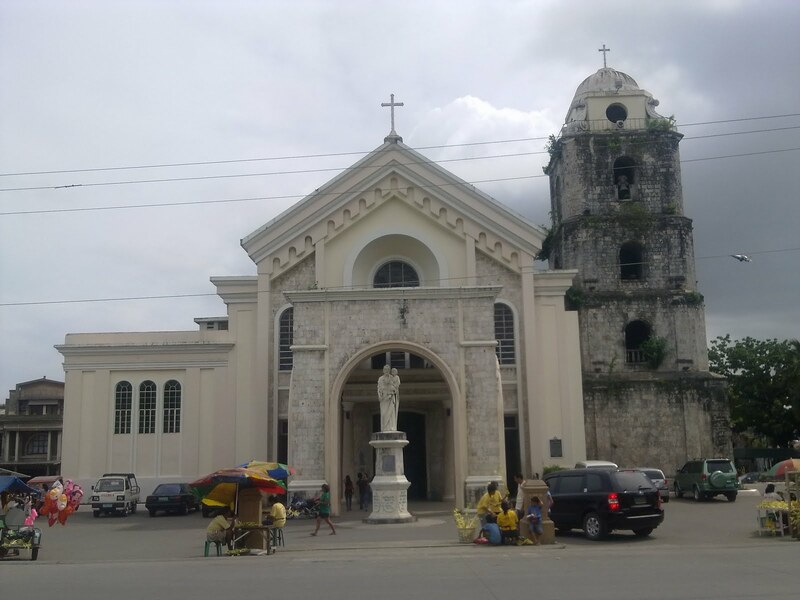 Another old church worth visiting is the St. Joseph’s Cathedral, or Tagbilaran Church, which was built in the late 18th century. The convent and bell tower were later additions in the 19th century and the chandeliers were put in place in 1894. 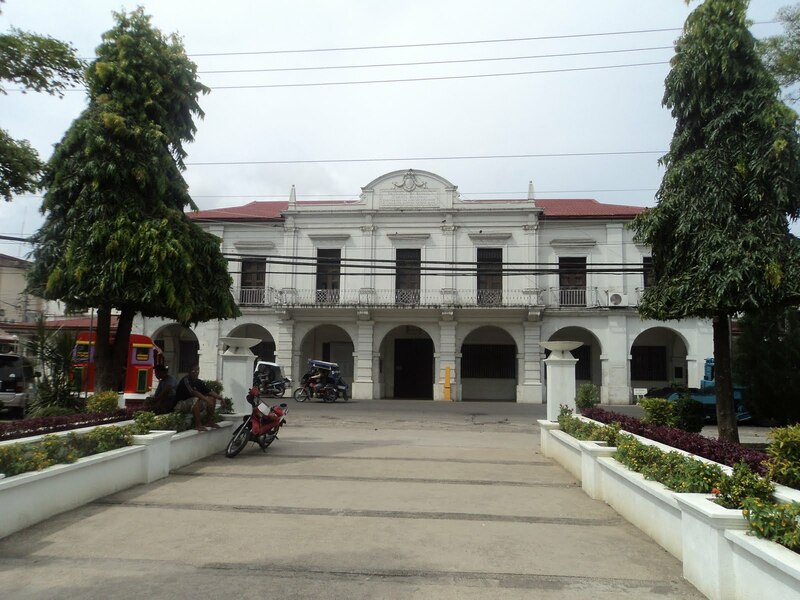 Across the Rizal Plaza from Tagbilaran Church is the old provincial capitol, a typical Spanish building with arcs and columns. I’m not sure if this is still being used to house the local government offices; I sign at the side of the building indicates it has been converted into a museum. Again, I must include this in my next trip. Up next is the highlight of our trip: beaches galore! Saw the link to this post while reading your TWG post. 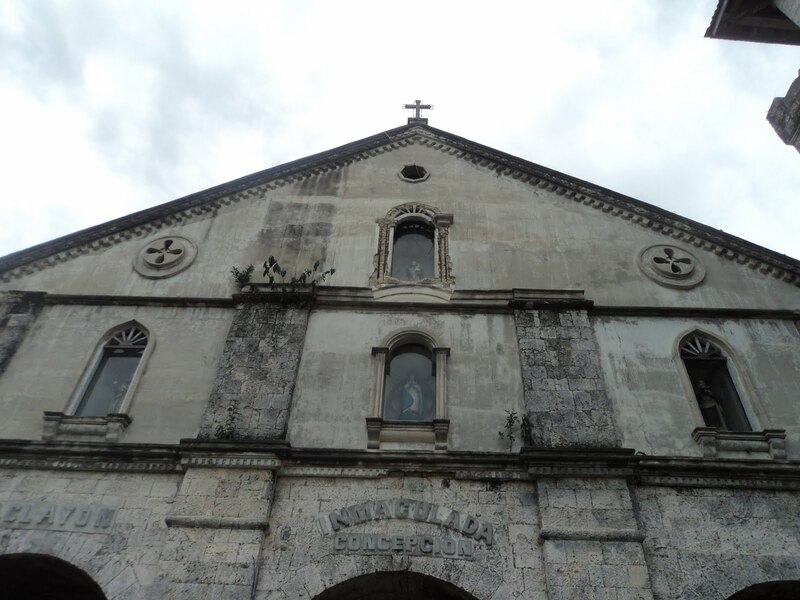 Tip sa Loboc Church: may entrance sa gilid ng simbahan, papunta sa office. Pag bukas yun, sa kaliwa mo, may parang entrance na puro telon (itim ata, not sure, baka madilim lang). 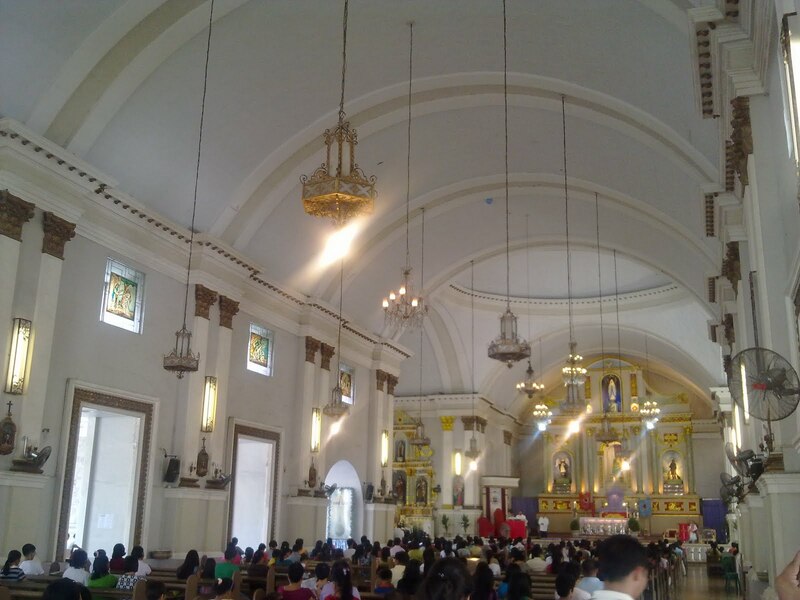 Ang labas nun e yung gilid nung altar. Tadah! 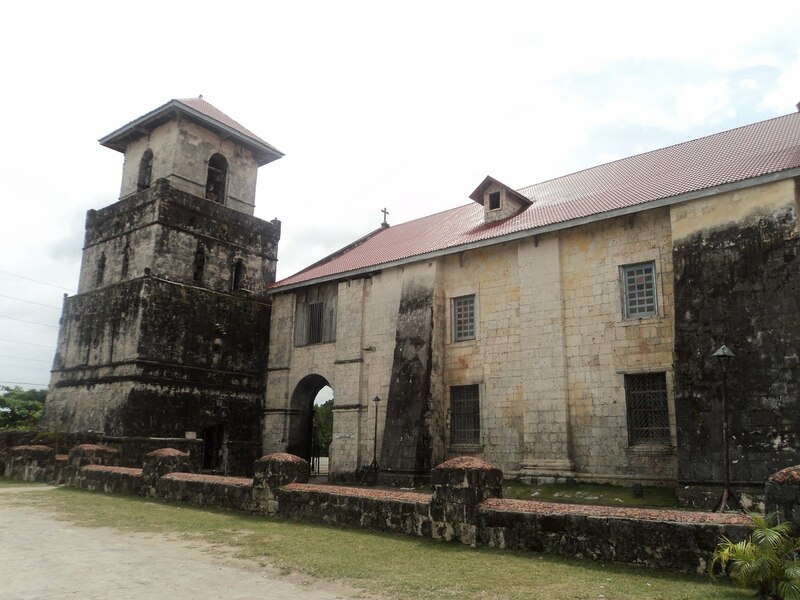 You're inside Loboc Church. That's what we did (tatay ko yung promotor nun). Hahaha! Thanks for the tip! Baka makabalik kami sa Bohol this quarter, pero check pa when pwede. Sana makapasok na kami this time.